Sooner or later, a tech startup or eCommerce company is going to need a server, that is, a computer dedicated to running any hardware, software and applications needed to provide services across a vast network. It’s not uncommon for companies to invest in multiple servers just to keep up with processing requests. Colocation America provides quality managed colocation services for clients that do not want to deal with the hassle of managing their own servers. Servers are hard to properly maintain on-site though, namely because they use a lot of power, create a fair amount of noise, and have special cooling requirements. For that reason, owners typically choose to co-locate (or place) their server inside a facility that has the proper cooling, power capacity and bandwidth needed to safely keep the server online, at all times. 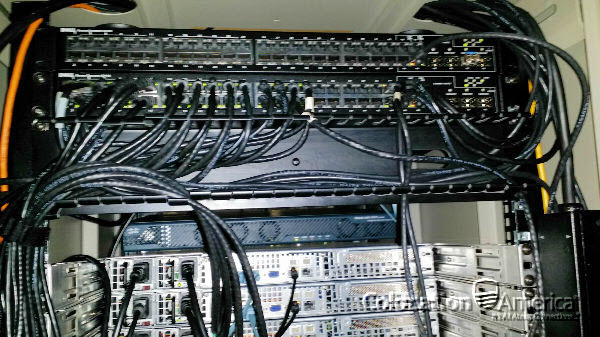 Traditional colocation solves the issue of housing the server but owners are still left to manage and maintain all the applications and protocols on that machine. A managed server differs from traditional colocation because it offers clients exactly what they need: 24/7/365 tech support of all the servers situated on their company network. Business owners can then focus on running the business without having to worry about any technical problems that may arise. Server management plans will vary but they are a more cost effective option to hiring an in-house IT person. 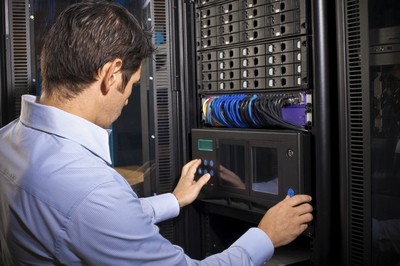 Having a managed colocation plan will allow our clients to rest easy knowing that a team of experienced IT engineers are handling their servers to make sure that it is up to date and running efficiently. You can fully customize your servers by letting us know what your business plans are; we’ll take care of the rest. We can also load up your server with all the necessary software, tools, applications, and security updates to tailor to your specific needs—ensuring that your server can perfectly handle your business needs and perform to your standards at an affordable price. Whatever your goals and budget are, we have a managed server plan that is right for you. What Are the Advantages of Managed Colocation? New and established companies are starting to see the advantage of managed colocation because it provides quality services at a great price. It allows companies to not only rent out a server from a colocation provider, but rent out an IT team as well. This enables savings of spending hundreds (or even thousands) of dollars on top of the line servers by renting one of Colocation America’s quality web servers. We can provide you with the hardware necessary for your company to achieve its business goals at a fraction of the cost. Employing your own dedicated IT staff to handle your server needs can eat up a sizeable amount of any businesses’ revenues. Why take the risk of employing someone else when we have a team of experience IT engineers ready to handle and maintain your servers for you. Save on the maintenance expense of your server with a managed server hosting plan from Colocation America. See how easy and cost efficient it is to have a fully optimized server set up to help you achieve your business goals. One can innately understand the cost benefits of unmanaged colocation. But it is not for novices, as it involves high risk and constant maintenance. 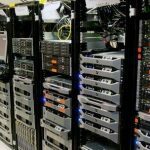 It demands time and expertise, so if you don’t already have in-depth experience with web hosting and server maintenance, managed colocation is a far better and more cost-effective solution. When unmanaged, any updates that need to be applied will have to be done manually, and the inevitable problems that arise will be your sole responsibility. This translates to unexpected extra costs which may exceed the cost of having a managed server in the first place. Managed server hosting is usually the standard choice for dedicated server owners. And, with the rise of cloud computing, this means that the cloud can be combined with colocation management, ensuring that at any given time, your site or application will be operating smoothly and accessibly, regardless of the amount of resources demanded by your business. Colocation hosting provides secure regular backups, all maintained on a separate server from which you can seamlessly restore them. You can even run the site or application from a backup server in the event of a security breach or server crash. At Colocation America, our single server & partial rack colocation packages are flexible, fully managed services & can be tailored to meet your specific needs, all at a low, affordable cost starting at just $99/month. We have a proven track record of colocation managed services with the highest rate of satisfaction for many of our clients. With an extensive list of clienteles, some of which are well-established companies, we have come to know exactly what our clients’ needs and demands are when it comes to server management. Having a managed colo plan will allow our clients to rest easy knowing that a team of experience IT engineers are handling their servers to make sure that it is up to date and running efficiently. You can fully customize your servers by letting us know what your business plans are; we’ll take care of the rest. We can load up your server with all the necessary software, tools, applications, and security updates to tailor to your specific needs. Ensure that your server can perfectly handle your business needs and perform to your standards at an affordable price. Whatever your goals and budget are, we have a managed colocation plan that is right for you.